Currently viewing the tag: "agreement"
The landmark Court of Appeal ruling means that landlords and their appointed letting or property managing agents are not obliged to treat rent paid in advance as a deposit, as that would require protection under the Housing Act 2004. The Court of Appeal’s decision was made in respect of the long-running case of Johnson v Old, where the tenant was offered a six-month tenancy and was asked for six months’ rent in advance, because she did not have a guaranteed fixed income. The agreement in the case provided a confusing element as the agreement stated that the rent should be paid monthly in advance, but also said that the rent should be paid six months in advance. The tenancy was subsequently renewed on the same terms before becoming a periodic tenancy where the rent was paid monthly in advance. The landlord attempted to gain possession of the property, by serving a Section 21 notice to the tenant, Anne Old. The tenant countered the Section 21 notice, saying that it could not be legally served because she had paid the rent in advance, which she thought should have been treated as a deposit and therefore protected. The tenant’s argument was successful at the first court hearing, but was then challenged successfully by the landlord at a second. The tenant then appealed the judges 2nd decision, and with the help of legal aid, the case then went to the Court of Appeal, which gave its decision in favour of the landlord. With flood alerts and warnings still in place in some parts of the UK, the Association Of British Insurers (ABI) has warned that up to 250,000 residential homes and commercial properties could be left without flood insurance. The ABI has claimed that it had already reached a crisis point in its talks with the government over replacing an agreement which would ensure that all households in area at high-risk of flooding could still secure some degree of flood insurance. However that was before last week’s heavy rain. Did you know that UK mortgage interest rates last peaked 22 years ago? Is it a surprising coincidence to anyone looking for cheap mortgages that mortgage interest rates have been raised by the Halifax and other lenders this week? Remarkably the timing of the announcements of Mortgage interest rate rises by Halifax, Santander and Royal Bank of Scotland had absolutely nothing to do with marking the anniversary of the last mortgage rate peak. Mortgage interest rates last peaked in the UK more than two decades ago, as noted by another leading high street bank. The bank also noted that March 3rd 2012 was also 3 years to the day since the Bank of England (BoE) base rate fell to its historic low of 0.5%. March 4th 2012 marked the day when lenders decided that there was money to be made from UK property again as Halifax announced plans to increase its standard variable rate (SVR) from 3.50% to 3.99% on 1 May for around 850,000 customers. Halifax is also increasing its Halifax Variable Rate 2 and Halifax Flexible Variable Mortgage Rate from 3.40% to 3.89%. Also marking Mad March, UK publicly owned bank the Royal Bank of Scotland has increased the interest rate on two mortgage products – its RBS and Natwest Offset Flexible Mortgage and the RBS One Account Mortgage – by 0.25% effective from 1st March and 1st May respectively. For the majority of the roughly 200,000 customers affected, the new rate will be 4% – the same as the banks’ standard variable rate, which RBS is keen to stress has not changed. Santander increased the interest rate on four of their mortgage products on Friday 2nd March – the two-year fix and tracker deals at 60% LTV and 75% LTV sold though its Abbey Intermediaries channel – by 0.10%. The increase, however, will only affect new customers – there will be no change to existing customers’ rates. The UK mortgage market has seen many changes over the last two decades or so, including the average price of a house rising from £69,240 (GBP) to £160,907 (GBP) and the size of a typical home loan agreement escalating from £35,000 (GBP) to £120,400 (GBP). The highest standard variable rate for borrowing fell from 15.4% to 6% in the same timeframe. Q. Why is anyone hiking anything with the Bank of England (BoE) base rate still so low? Usually when a lender hikes its standard variable rate (SVR) it is in response to a change to the Bank of England base rate. However, the BoE base rate has been at a record low of 0.5% for 3 years already and is expected to remain low until at least 2014 – more likely 2016, according to experts at the Centre for Economics and Business Research (CEBR). So why are lenders hiking mortgage rates now? Other than the obvious answer of … Because they can! UK property is still alive, well and is still producing a profit! Property investors have always known this and now the banks are finally realising that there is money to be made from UK property! The downturn in UK property valuations has lead many existing homeowners, some of whom are desperate to sell up, to consider alternative ways to cash in on their current property, without having to sell it below their expected valuations. A fairly noticeable proportion of these vendors are choosing to become first-time landlords, rather than settling for a below market offer. 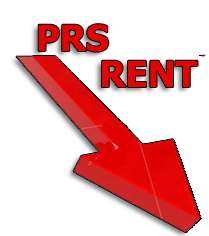 The prospect of more reluctant or accidental landlords entering the private rental sector (PRS) is not such welcome news for the UK rental property market. Ill advised or inexperienced landlords often make mistakes or cut corners in order to preserve cash flow or increase rental yield. •	All prospective tenants should be thoroughly referenced and credit checked by a reputable agent, to ensure financial ability to pay the rent and gain an insight into the suitability and character of the tenant. •	Provide a proper Assured Shorthold Tenancy agreement (AST) signed by both Landlord and the tenant, outlining the length of the tenancy, amount of rent, date rent is due, and details of which government deposit protection scheme is to be used. •	At the start of the tenancy walk round with the tenant and conduct a detailed inventory describing the condition of all the fixtures and fittings of the property in detail, along with the furnishings. •	Gas appliances must be checked annually by a registered Gas Safe engineer and the landlord must provide the tenant with a copy of the Gas Safety Certificate (CP12). •	The landlord should take out comprehensive Buy-To-Let or Landlord insurance to protect their property asset. •	All repairs should be fixed promptly and only use reputable tradesmen that you know and trust to tend to the property, this is extremely important if emergency repairs must be done at short notice. •	If using a lettings or property management agent remember to conduct Due Diligence on them thoroughly and make sure as a landlord that you are happy with their terms and conditions before appointing them. There are currently a record number of people searching for suitable rental properties in the UK, meaning that would-be landlords should have no problem finding a willing tenant, providing their properties are fit to rent. New and first-time landlords should note that letting a property can be stressful and time consuming, as well as a very financially and personally rewarding experience, and is an effective way of providing an additional income. Prospective landlords will need to remember they are effectively starting a business that centres on property and must remember to treat it as such. Legal 4 Landlords are the UK’s fastest growing Tenant Eviction specialists who also offer a wide range of useful services for landlords including Tenant Referencing, Landlord and Tenant Insurance policies and Rent Guarantee insurance. Rents have fallen for the first time in 10 months as landlords look to keep homes occupied over Christmas, but rents in some parts of the UK have bucked the downward month-on-month trend. The typical rent in England and Wales dropped by 0.4% to £717 a month in November, the first month-on-month fall since January. But despite the seasonal decline, the average rent for a property is still £25 a month more expensive than it was this time last year. Rents have risen in all regions over the last 12 months, with London and the South East experiencing the fastest rises annually at a rate of 4.2%. The typical monthly rent in London stands at £1,033 and in the South East it is £741. Landlords are looking to avoid having properties vacant over the Christmas period, and are being less aggressive with rental pricing as tenant activity slows in the run up to the New Year. Across the UK, the limited supply of rental accommodation means there will still be strong upward pressure on rents in the early part of 2012. Rental demand has remained high as would-be buyers have been unable to get onto the property ladder, faced with having to raise large deposits or finding the terms of mortgage deals too restrictive. The monthly index, based on analysis of more than 18,000 properties across England and Wales, also showed that tenant finances improved slightly in November despite the squeeze on household incomes, with 9.3% of all rent late or unpaid, compared with 10.1% in October. Even though a large proportion of current renters would be credit-worthy buyers were they able to provide a big enough deposit to satisfy tight mortgage lending criteria. These tenants are typically financially sound, and less likely to experience payment issues. UK landlords without Rent Guarantee insurance can expect rental arrears to creep back up next year due to challenges to the economy generally, the threat of the Eurozone crisis and unemployment. With the cost of moving into a home set to increase for first-time buyers (FTB) when the stamp duty holiday ends in March 2012, the strain on the UK Private Rented Sector (PRS) will be greater than ever, and the cost of renting will continue to increase as the new year progresses. Legal 4 Landlords spokesman Sim Sekhon said: “UK landlords are in a strong position right now, however unless they take the appropriate steps to protect their rental properties and the income that they provide, that position will change as more regulation is introduced and the tightening of Government Fiscal policies begin to take effect in 2012. 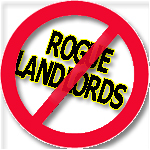 Legal 4 Landlords know how important it is for landlords to protect their property assets. They have worked closely with providers to develop comprehensive Rent Guarantee and Insurance products for UK landlords.